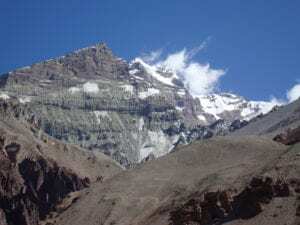 Why do porters carry so much weight in the Everest region, is really down to the amount of people, trekkers and climbers entering the Everest region and other regions of Nepal. If you want bottled water, coke, food, chairs, gear, and your bags carried for you. Then there will be porters carrying all this and more into the region. You will see a lot of other porters on the trails of Nepal carrying heavy loads up to 120kg/ 264 lbs These loads will have rice, coke, beer, food and a range of products that locals and trekkers need while they are in the region. You can can also look at it from the economic perspective, if you don’t drink coffee and cakes at the bakery, stay in lodges, eat food, use wifi, buy items, the people in this region would be out of work and their earning potential would be lower. Yes there is a risk to their health but what other way would you like it to be done? 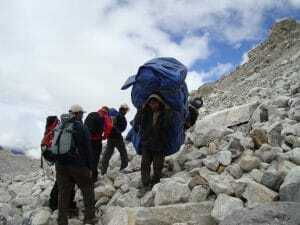 There are no roads into the Everest region so everything has to be carried. This presents challenges of how to get all the equipment up the trail from village to village. It is expensive to helicopter in equipment. It is already expensive to fly in items, materials, food etc…. 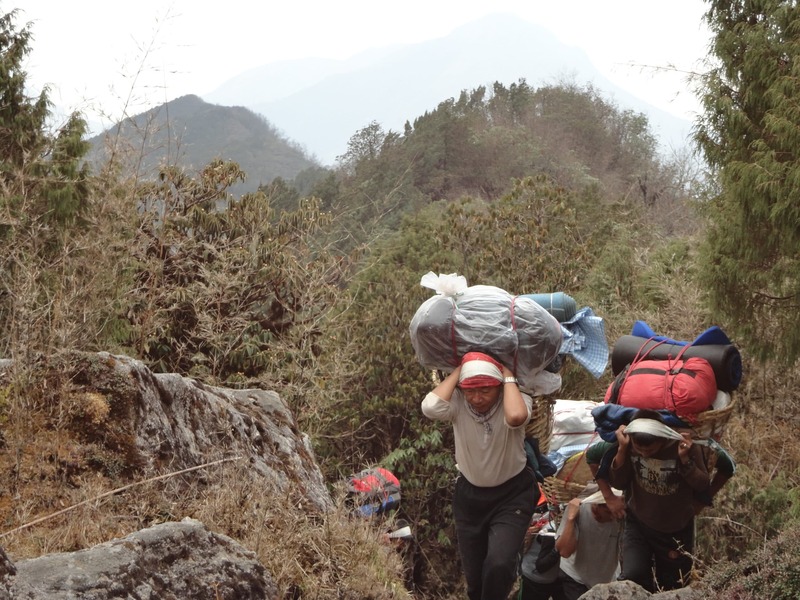 The porters with the really heavy loads are working for themselves. The more they carry the more they get paid. There is no restriction on the amount of weight they carry up the trail.